The name Wadō-ryū has three parts: Wa, dō, and ryū. Wa means “harmony,” dō (same character as tao) means “way,” and ryū means “school” or “style”. Harmony should not be interpreted as pacifism; it is simply the acknowledgment that yielding is sometimes more effective than brute strength. From one point of view, Wadō-ryū might be considered a style of jūjutsu rather than karate. It should be noted that Hironori Ōtsukaembraced Shotokan and was its chief instructor for a time. When Ōtsuka first registered his school with the Dai Nippon Butoku Kai in 1938, the style was called “Shinshu Wadō-ryū Karate-Jūjutsu,” a name that reflects its hybrid character. 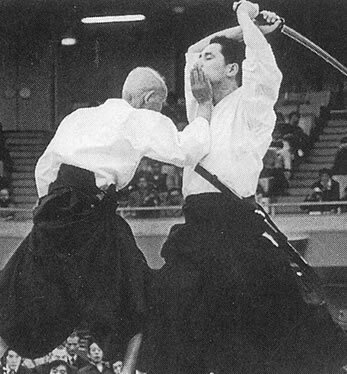 Ōtsuka was a licensed Shindō Yōshin-ryū practitioner and a student of Yōshin-ryū when he first met the Okinawan karate master Gichin Funakoshi. After having learned from Funakoshi, and after their split, with Okinawan masters such as Kenwa Mabuni and Motobu Chōki, Ōtsuka merged Shindō Yōshin-ryū with Okinawan karate. The result of Ōtsuka’s efforts is Wadō-ryū Karate. To the untrained observer, Wadō-ryū might look similar to other styles of karate, such as Shōtōkan. Most of the underlying principles, however, were derived from Shindō Yōshin-ryū an atemi waza focused style of Jujutsu. A block in Wadō may look much like a block in Shōtōkan, but they are executed from different perspectives. A key principle in Wadō-ryū is that of tai sabaki (often incorrectly referred to as ‘evasion’). The Japanese term can be translated as “body-management,” and refers to body manipulation so as to move the defender as well as the attacker out of harm’s way. The way to achieve this is to ‘move along’ rather than to ‘move against’—or harmony rather than physical strength. Modern karate competition tends to transform Wadō-ryū away from its roots towards a new generic karate that appeals more to the demands of both spectators and competitors. As with other styles of karate Wadō-ryū techniques move from the heels of the feet, but differ in that many (particularly the gyaku zuki reverse punch, like a boxer’s cross) progress to incorporate pushing off the ball of the foot as well. This affects the delivery of a number of techniques, particularly adding reach to punches with the back hand, given the extra hip movement afforded utilising the balls of the feet in this fashion. While the core principles (at least with regard to transmission of body weight into punches) of turning on the heel remain in Wado, as it is the fastest way to push the hips in the direction of attack, the progression to the ball of the foot is a hallmark of the style. It is important to remember that this in no way makes it superior or inferior as a system in comparison to other styles, it is simply another way of thinking that has both merit and drawbacks. It works well with the jūjutsu applications that Wadō retains and improves the tai sabaki that is a core of Wadō training and application in comparison to the “low stances and long attacks, linear chained techniques” that typify the way Shōtōkan developed after the split. In April 1977 a seminar was held in Aarhus with Shingo Ohgami 5. than from the Swedish karate club called “Samurai-dojo” in Gothenburg,   which became a recurring event in the years to come through 1999. In summary, these seminars have been a significant factor in building the technical integrity and standard of the Danish Wado clubs. The seminars, combined with participation in the Swedish Wadokai Winter, Easter and Summer camps, and courses, have led to stability and security in the Danish Wado organization. In autumn 1978 there were four Wadokai clubs in Denmark located in Aarhus, Horsens, Hedensted, Tilst,   these clubs held on 8 September 1979, the founding general meeting in Aarhus for “Wadokai Denmark Karate-do” as national style-organization. From 1982 the structure was established,     The first two practitioners in the Danish Wado-kai had passed the grade 1. dan (black belt) in JKF-Wadokai regi, graduated in Gothenburg with Japanese certificate. In April 1996, DWK’s Dan College, which manages 1. dan graduations in Denmark, is formed. In 2016, the respective clubs perform athletes with black belts at levels 1 to 5 then. 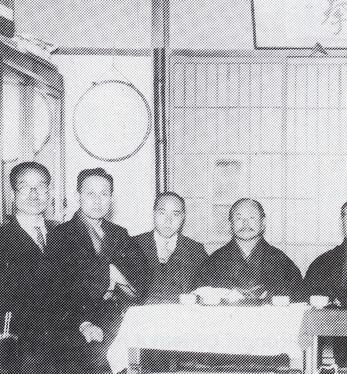 In 1938, Ōtsuka registered his style of karate with the Dai Nippon Butoku Kai under the name of “Shinshu Wadoryu Karate Jujutsu.” Soon after, however, this was shortened to “Wadō-ryū” (和 道 流). In 1938, the Dai Nippon Butoku Kai awarded Ōtsuka the rank of Renshi-Go, followed in 1942 by the rank of Kyoshi-Go. It was around this time that Tatsuo Suzuki, founder of the WIKF, began training in Wadō-ryū. In 1944, Ōtsuka was appointed Japan’s Chief Karate Instructor. [Citation needed] In 1946, Ōtsuka awarded Tatsuo Suzuki the rank of 2nd then. Around 1950, Jiro Ōtsuka (the founder’s second son) began training in Wadō-ryū while in his adolescent years. In 1951, Ōtsuka awarded Tatsuo Suzuki the rank of 5th then, the highest rank awarded in Wadō-ryū at that time. In 1952, the Wadō-ryū headquarters (honbu) was established at the Meiji University dojo in Tokyo. In 1954, its name was changed to Zen Nippon Karate Renmei (All Japan Karate Federation). In 1955, Ōtsuka published “Karatejutsu no Kenkyu,” a book expounding his style of karate. 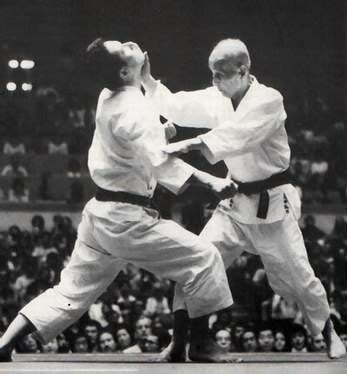 In 1963, he dispatched Suzuki, along with Toru Arakawa and Hajimu Takashima, to spread Wadō-ryū around the world.